How long does it take to get a business loan application approved? There are any number of reasons why you might need to get a business loan for your small business. Here are just some of them. 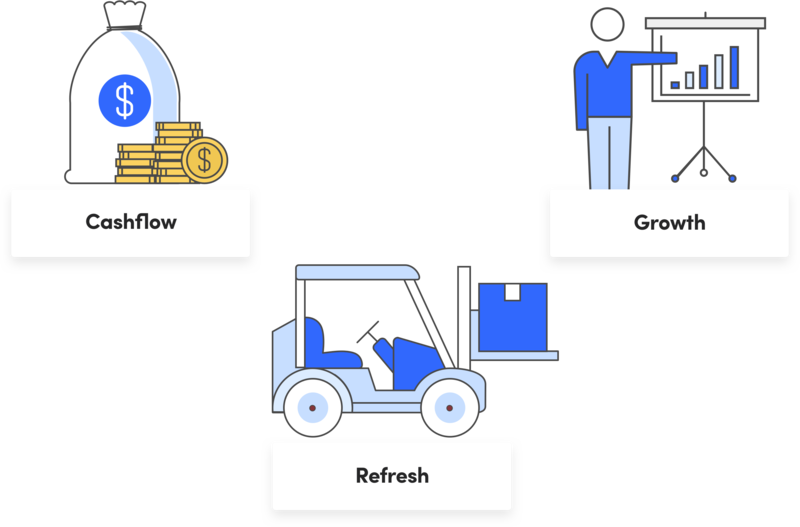 One of the most common reasons is cashflow. That’s hardly surprising when you consider that running out of cash is the number one reason businesses – big and small – fail. Turnover means nothing if don’t have the money on hand to pay your bills when they fall due. A business loan can give you funds to fall back on if your income fluctuates, or if your working capital takes a hit from unpredicted expenses. Calculate what your business can afford to repay with our business loan calculator. If you’re ready to take your business to another level, you’ll probably need funds to invest in growth. You may want to acquire a competitor, supplier or customer, or simply to boost your capacity so you can service more clients. If you prefer to grow your existing operations, new equipment, bigger premises or storage facilities, extra stock or new staff will all take an up-front investment. A business loan can give you the funds you need to act fast when the right opportunity comes along. If you’ve been in business for a while, you may be in need of a refresh, so you don’t fall behind your competitors. Manufacturing or office equipment, IT, store or office fittings and websites (your valuable online ‘real estate’) all need updating regularly, to keep up with safety standards, best practice and evolving technology. While there are many good reasons for getting a business loan, business finance isn’t always the right strategy. Before you start looking for a lender, be sure to prepare a business case and examine the numbers. For example, businesses that grow too fast can quickly run into trouble, especially if it takes a long time to generate enough extra profits to cover the cost of finance. Unless the money you plan to borrow and invest will generate tangible benefits for your business, it may more prudent to wait until you have funds behind you to finance your plans. You’ll need to have a good credit rating (although some lenders do specialise in lending to businesses with poor credit scores – at a price, of course). Above all else, you’ll need to have be generating enough clear profits (after all your business expenses) to service your loan. Even if you have collateral to offer as security, even the most risk-friendly lender won’t deal with you if they don’t think you’ll be able to meet your repayments. If you’re planning to approach a traditional bank to get a loan, you’ll find the eligibility criteria are a lot more stringent than those of alternative lenders. Only businesses with the highest credit ratings, high minimum turnover and security to offer tend to get approved for bank business loans. What documents will I need to supply for a business loan? your personal and business credit records. If you are being asked to provide a personal guarantee, which is not uncommon for unsecured business loans, you may also need to provide details of your personal financial circumstances – i.e. your assets, debts, income and outgoings. Every lender has their own business strategy and level of tolerance to risk, but they all use a similar process to assess loan applications. There are five criteria, known as ‘the five c’s of business credit’, against which your business will be evaluated. Character – are you, and your business, reputable? Are you known for paying your bills on time and keeping your commitments? A weak credit rating is the biggest indicator of poor financial character, but some lenders will also investigate your reputation with suppliers, customers and other creditors. They may also look at factors like the condition of your industry as a whole and your place within it, the knowledge and experience of your leadership team, and the size and diversity of your customer base. Collateral – if you are able to offer assets as collateral for your loan, you present a much lower risk to the lender. While most banks require collateral for business loans, many alternative lenders offer unsecured business loans, although the cost is likely to be higher. Capital – just having assets in your business, even if you’re not planning to use them as security, will reassure lenders. (After all, if your business gets into difficulties you’ll be able to sell your assets to repay your debts.) So if your business is entirely funded with debt and you have no equity built up, you may find finance hard to come by. Capacity – this is your ability to meet your repayment obligations, and it is the single most important of the assessment criteria. You’ll need to prove your business is making enough clear profit to service your loan. If your income is seasonal and your capacity fluctuates, don’t despair – you may be able to set a repayment schedule to match your cash flow. Conditions – this is all about negotiation. Provided that you meet the capacity criterion, banks may be willing to take a risk on everything else, for the right price. If your application is rejected initially, you may still able to secure finance provided you’re willing to pay a higher interest rate or agree to conditions that protect the lender (for example, that you won’t take out any additional loans, or you won’t offer credit terms to your customers). If you don’t meet the ‘five c’s’ criteria – especially the all-important capacity test – you’re unlikely to get a business loan.. If your business is still in the start-up phase, or hasn’t yet started generating regular income, lenders may wish to see a few more months’ trading before accepting your application. Even if you’ve been trading for a while, you’re unlikely to secure finance from a traditional bank unless yours is a very well-established business with an excellent credit record, high turnover, a strong business plan and assets to offer as collateral. The success or failure of your loan application can also come down to your choice of lender. 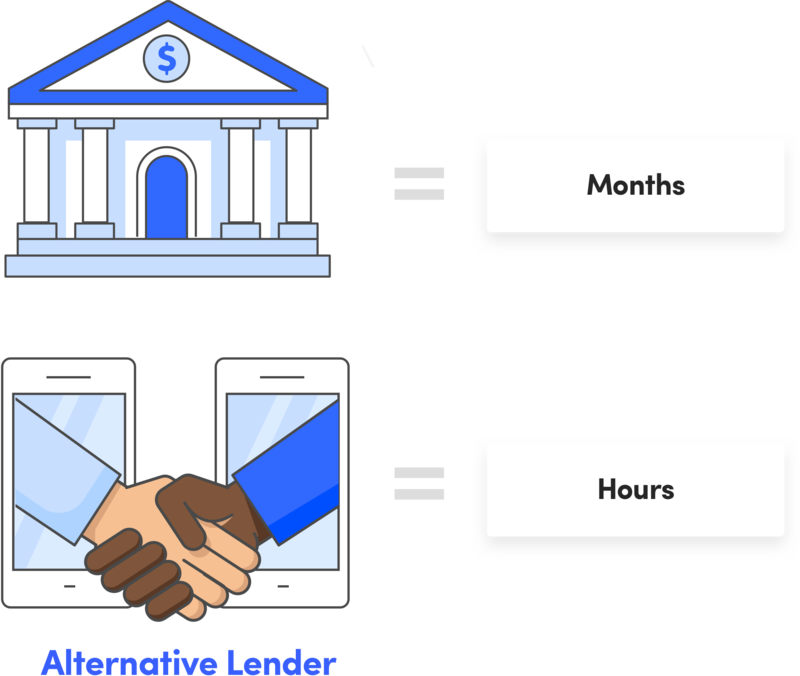 Some lenders prefer to work with businesses in specific industries, or with particular business models (those that make high volumes of credit card sales, for example). Others are committed to supporting their community and will be more willing to lend to local businesses. Before applying, look for a lender that will be a good fit for your business and is likely to support your goals. An experienced broker can help you find the right lender and compare loan products. One more reason you may have your application declined is lack of preparation. Getting an unsecured business loan with an online lender can be a quick and simple process, but you’ll still need to provide supporting documents and a clear explanation of why you need the funding. Be sure to collect all the evidence you need and create your business case for the loan before you submit an application. If you apply via a bank, a business loan application can take months. Online applications can take just a few minutes, provided you have your supporting documents ready. With some lenders you’ll get an instant assessment on the spot, while others will follow up with a phone call to collect more information.In many cases, you can have approval within hours and the funds in your account within days. If you’ve taken out a business loan for a specific purpose – for example, to buy new equipment or stock – you’ll need to use the funds in that way. If your loan is to boost your working capital, or to put you in a position where you can take advantage of opportunities as they come up, you can use the funds however you see fit. What are the terms and how much interest will I pay? The terms and conditions of business loans vary widely, as does the cost. There are many factors that will influence the amount of interest you pay, including the type of finance you take out, how much you borrow, the term of the loan, and how you structure your repayments. As a rule, the more risk you present to the lender, the more you’ll pay – so unsecured loans are always more expensive than secured finance, and newer businesses in high-risk industries can expect to pay a premium. See a list of business loan interest rates here. If in doubt, seek a reputable broker to help you compare and choose a loan and secure the best rates. As mentioned above, borrowing for your business isn’t always the right strategy. Prioritising growth over profitability can put you on the fast track to failure, so be sure to do a full, and conservative cost-benefit analysis to be sure finance will benefit rather than damage your business. As part of your business case you need to find out how much you can really afford to borrow. Lenders have their own criteria for deciding this, but your own assessments are just as important. Consider how you’ll manage if interest rates rise, if you lose an important customer, or if your debtor days ratio begins to increase. If you need flexible funding to help cover day-to-day business needs, consider a line of credit or overdraft, where you’ll only pay for the funds you draw down, and won’t get locked into paying for long-term finance when you no longer need it. Even if you’re in a hurry to get funding, it’s important to take your time to prepare and find the right business loan. As we said, there’s a lot more to comparing loans than looking at the interest rate – the cheapest rate may actually be the most expensive finance if there are lots of hidden charges, or if the lender can restrict the way you do business. Make sure you understand exactly what you’re applying for before you submit your application. Will you have the flexibility to make early repayments if you no longer need the loan? Will the repayment schedule work with your income patterns? Will you still be able to offer credit terms to your customers, and choose who you do business with?